Black Wire Flower Frog. I love to collect different styles of antique flower frogs. Even though this one isn't old, it certainly looks like it! They are great for spring thyme display or use! This one is black and weighted so it would stay in a vase with water. 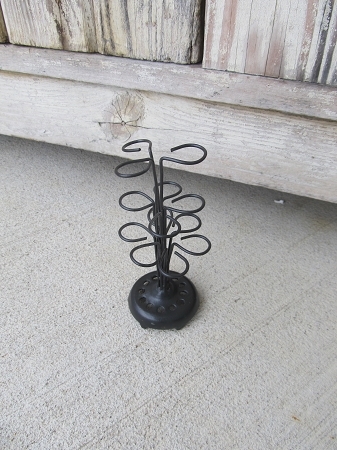 Wire holders to help hold the flowers stem. Without water, you can display just like I have for a unique spring thyme display! Size is 5"x2". It could even hold a few pens as a funky pen holder.